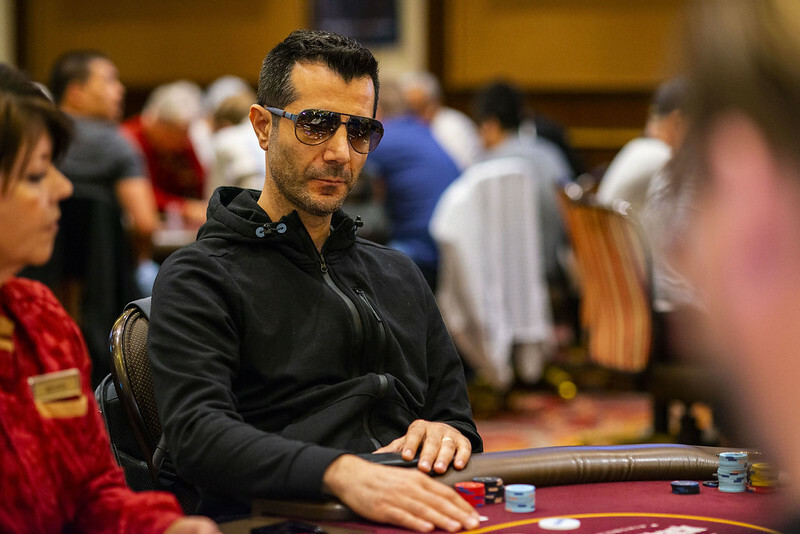 WPT Champions Club member and current leader in the WPT Player of the Year standings Erkut Yilmaz (pictured) raises to 2,500 from middle position. Action folds to Nathan Gamble in the big blind, and he calls as the flop lands . Gamble leads out for 3,000 and Yilmaz calls as the turn lands the . Gamble bets 9,200, and Yilmaz folds.